Ack! 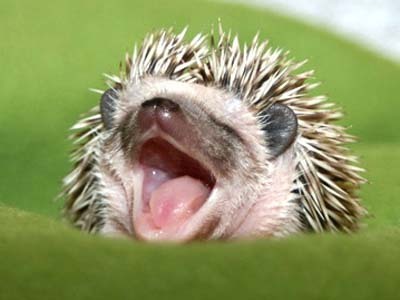 This little guy just got me smiling from ear to ear, so I just had to share. 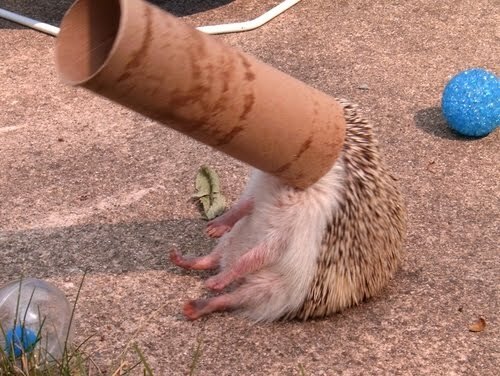 It looks like hedgehogs are big lovers of toilet paper rolls! 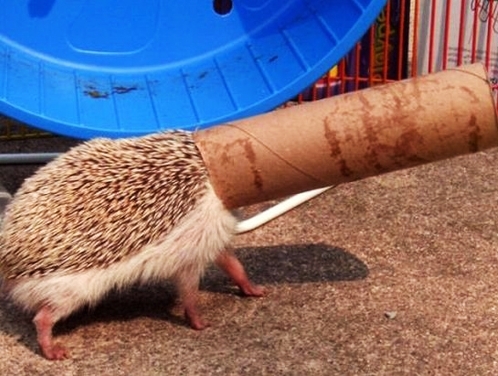 Now here`s one hedgehog who really knows how to work that toilet paper roll. 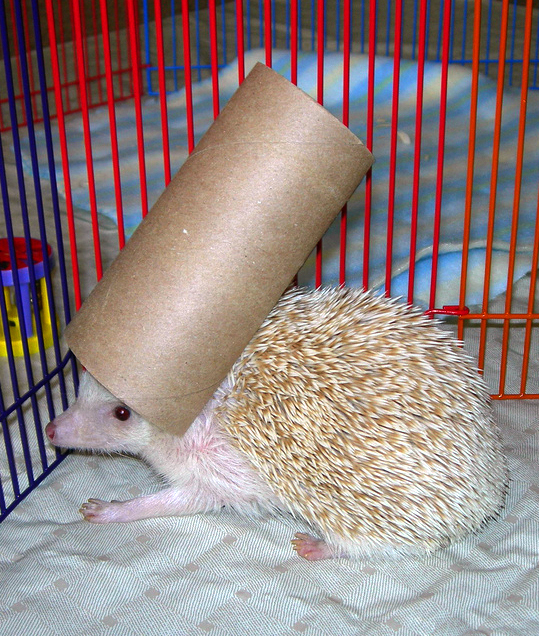 What a gorgeous hat you`ve got there cutie! 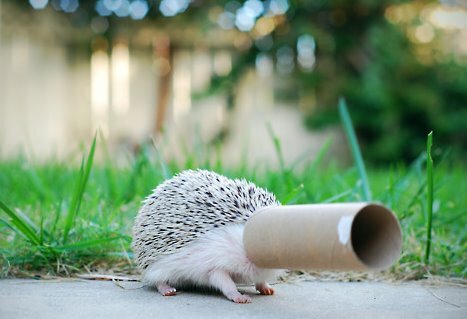 Don`t know why all these hedgehogs want to hide inside toilet paper rolls, just look at this cute little face!